One of the best things about being part of the photography community is meeting new people who inspire you and getting to tap into their experience and learn about their creative process. Our content writer, Catt, had the opportunity to meet landscape photographer Justin Gainsford at one of his recent shows and he kindly agreed to share some tips. Catt: Hi Justin, thanks for taking the time to talk to us. Can you tell us a little bit about who you are and what you do? Justin Gainsford: Well in short I am originally from Stockholm and I specialise in water photography. That means that water is a main theme in my images. I take pictures that are above, below and at the surface. In the past couple of years I have typically held around two exhibitions per year. I also founded a photography group in 2015 called Stockholm Water Photography. Today we have 1,100+ members that meet up regularly on weekends. The initial purpose of Stockholm Water Photography was to discover the best places in Stockholm for landscape photography and to inspire each other. It has since expanded to cover a variety of photography related activities..
C: What inspired you to pick up a camera in the first place? JG: I was a late bloomer. My passion developed over the course of several years. Two significant events influenced and accelerated my interest. The initial fascination with photography began during a trip to South Africa in 2008. I had bought a Nikon D80 SLR specifically for the trip. At the time the Nikon D80 had all the functionality a beginner could need. We were heading to Kruger Park in South Africa and I was adamant that it would be smarter to photograph elephants from a distance with a better zoom than the popular smaller cameras had. Remember, this was in the pre-smartphone era. The trip was a real ‘WOW’ moment when I realized how much better the quality the images were on an SLR compared to prevailing cameras. The second significant event came when I spent time near Bondi Beach in Sydney. I would take early morning walks along the beach. There is always something different going on at Bondi Beach and I quickly learnt that no two days are the same. On any early morning you can expect to find surfers battling waves, joggers running along the beach and people meditating. Added to these unknown variables are magnificent sunrises, dolphins or whales passing through, backpackers dressing up as surfing santas or commercial shoots taking place. 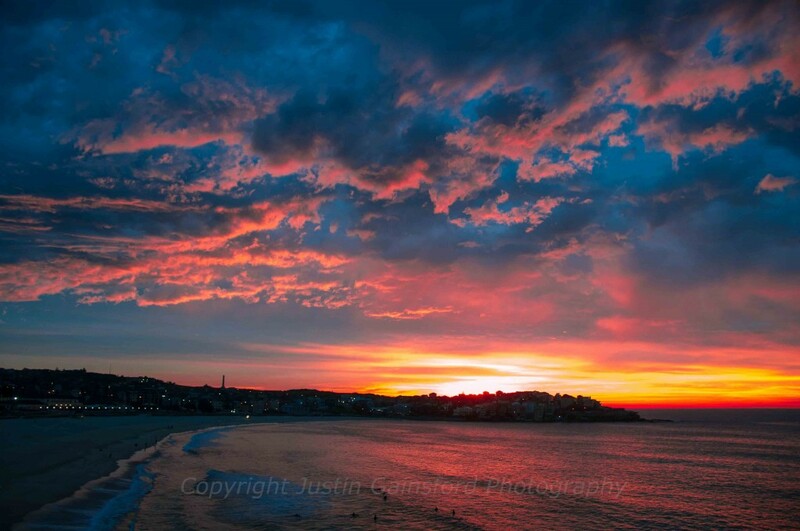 In short, Bondi Beach is a terrific place to learn the art of photography because of the great location and the variety of activities taking place. I gradually stopped going there for morning walks and instead went for morning photography sessions. C: Which of your images would you say are you most proud of? JG: That’s a tough question to answer, I have lots of favourites. Ultimately I’d have to say it’s an image I took in 2015 near Kebnekaise mountain station in the far north of Sweden. Kebnekaise is Sweden’s tallest mountain by the way. I carried my underwater camera housing, along with a lot of equipment, up into mountains without really knowing if it was going to end up as dead weight or actually have a use. It was a short three day trip and on the last day I found a stream near the station. The stream consisted of melted snow which meant that underwater visibility was terrific and I managed to capture some amazing images of Kebnekaise mountain with my camera semi-submerged in the stream. C: What would you say is the hardest part of landscape photography? JG: For me light is a key component of getting the “perfect” photography and mother nature is unpredictable. So you can find the perfect location, be there at the right time of the day and still not end up with a satisfactory result. This is especially true of sunrise and sunset images. I’ll give an example of light that creates a marvellous effect on landscape photography. It happens that we have days with thick clouds right above us yet the horizon is free of clouds. Now if the sun rises at the right angle it will light them up from below. It is a marvelous sight. Sadly, occasions like these when weather conditions are just right are few and far inbetween. The feeling of capturing an image that has it all is immense! I usually get a feel good factor which carries me through the rest of the day. C: You’ve visited some pretty spectacular places. If you could travel to anywhere in the world for a photo-shoot, where would you go? 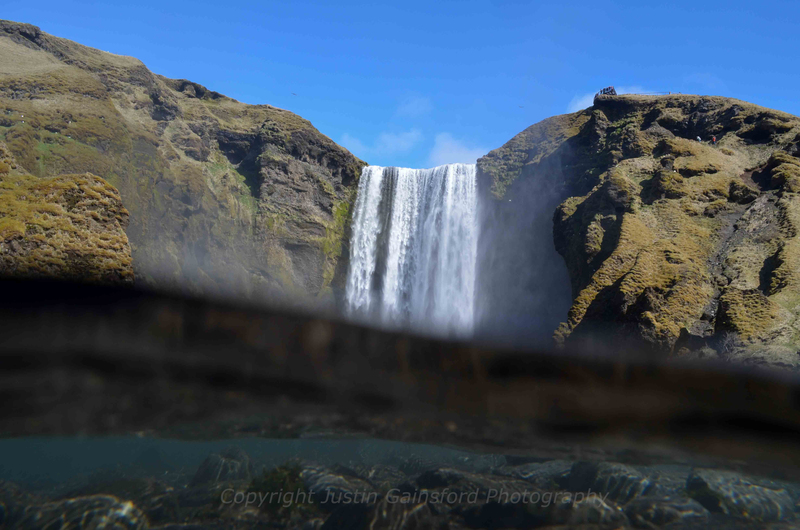 JG: I specialize in water photography and lately have been fascinated with glaciers. I would love to travel to either Antarctica or Svalbard to photograph natural ice formations. Not only are glaciers fantastic to observe but as a photographer what I really appreciate about them is that many are alive in the sense that they are slowly shifting and changing. It happens gradually so a person might not notice but if you visit the same glacier year after year, it will always be a little bit different due to ice movement. As far as it is possible, one of my goals with photography is delivering works of arts that are difficult to imitate and therefore unique. C: What about the future? Where do you see yourself in 10 years time? JG: As the star photographer for National Geographic. Just kidding! I see myself doing the same thing that I do today. I plan to continue having regular exhibitions of my art, improving my own skills, inspiring up and coming photographers and trying to get people interested in photographic art. I also plan to continue undertaking regular photography expeditions to new and exciting places, hopefully 1-2 major trips each year. C: And in the short term? Do you have any exhibitions or events do you have coming up? JG: I have two exhibitions coming up in 2018. Both will be in Stockholm. The first is a solo exhibition scheduled between the 1st – 30th of June. The subject is going to be “Waves”. I’m very excited and looking forward to it. At the moment the venue is not fully ready so I can unfortunately not provide a location yet. I will be posting it on my website and on social media once everything is sorted. The second exhibition is in November and I will be co-hosting it with an artist that paints Swedish birds. I have not settled on a theme for it yet but it will be something that works well with her artwork. C: If you could give one piece of advice to someone looking to start photographing landscapes, what would it be? JG: Obviously a fundamental component for someone starting with landscape photography is to receive some kind of training on their camera and its functionality. I’d next say that it’s important to practice regularly and not expect any miracles the first weeks. When asked by members of my photo group about how to become a better photographer I usually recommend practicing the same way that I learnt. Go back to the same place to keep improving using different lighting, trying new angles and experimenting. I think by comparing a series of images from the same location is a great way to learn how to capture the best possible image. Thanks, Justin. We’re really looking forward to seeing your upcoming work. If you’d like to keep up with Justin’s events and exhibitions follow him on Instagram and check out his website. Inspired to start creating amazing landscape photographs. Save 15% on any purchase of LandscapePro 2 using the coupon JUSTIN15. Got a great story to tell? We’d love to hear from you. Email photos@anthropics.com with the subject line ‘Blog’. This entry was posted in Interviews on 2018-04-10 by Clare Denman.